I chose to paint my brother Liam because he is the one I look up to. Liam and my cat Astro are great friends to each other and to me. 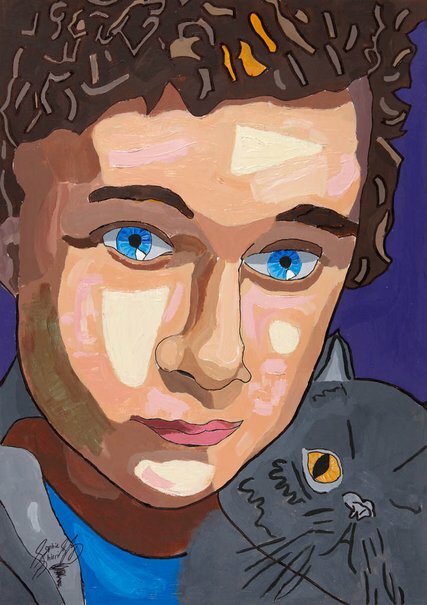 With my painting I wanted to show Liam’s blue eyes and my cat’s one eye which he lost in a cat fight.